When working with customers and suppliers that use alternative CAD packages, it is common for design engineers to come across different file formats. To successfully manage models imported in different formats, you need to understand both the restrictions and benefits of common file formats. 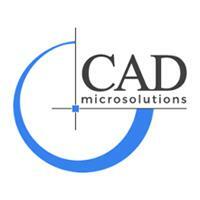 It would help to know the various options for exporting to CAD that others users accept. Specific to the SOLIDWORKS file format, you have a multitude of different 2D and 3D standards for importing and exporting. In fact, 30 unique translators are available for each copy of SOLIDWORKS, some designed for import and others for export. Regarding the SOLIDWORKS file format for export, the accuracy for many is reduced. However, they are designed for quick web pages and prototyping. CADKEY – For this format to be recognized, the extension has to be lowercase. The model comes in “dumb,” meaning there are no mates or feature information. IGES – This 3D file format is the oldest and most commonly used. However, with corrupt or missing faces, it may not be the first choice for a complex model. Parasolid – With imports being “dumb,” they are typically perfect, but only when exported in the correct manner. Pro Engineer – Imports include dimensions, features, sketches, and attributes, but exports are not supported. Rhino 3Dm – The standard for this surface model only imports. For importing to work, Rhino must be installed on a SOLIDWORKS computer. To export, you can use IGES or STEP files from Rhino. SAT/ACIS – Imported as “dumb” objects without feature information and mates, this method is good for files coming from Autodesk products. Solid Edge – Files are imported directly but not exported into this format. Because the same kernel is used by SOLIDWORKS and Solid Edge, importing and exporting are usually flawless between packages. STEP – Among universal file formats, this is one of the best. The two versions, AP214 and AP203, import and export files. Unigraphics – This imports compressed and uncompressed UG part files, but when there are reference files missing, there are occasional fails. VDA-FS – Importing and exporting are possible. However, coming in “dumb,” there are no mates or feature information. For a SOLIDWORKS file format, it is important to understand that the majority of three-dimensional imports and exports do not support features. The file formats for SOLIDWORKS that were recently released have a direct modeling ability. With this ability, changing imported models is easier, even though features are not recognized. Note: Coming in SolidWorks 2017 is the highly anticipated “3D Interconnect” which will allow many of these native file formats to be opened directly inside SOLIDWORKS with zero translation. Quite impressive, stay tuned for more information on 3D Interconnect from CAD MicroSolution.